The 2009 Oconee Alumni Banquet was held on June 20, 2009, at the Oconee County Civic Center. 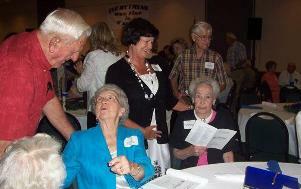 The OCHS Class of 1959 hosted the event.Class member, Susan Crawford Hansford, presided. About 400 folks attended and enjoyed a delightful meal by caterer, JoAnn Morgan, and OCHS 1956 graduate, (A BoKay by JoAnn, 4339-A Hugh Howell Rd, Tucker, GA 30084). While the weather was hot outside, the banquet flowed smoothly and went well. The Fire Marshall limited registration to 400 folks and that did allow more space for visiting by guests. Most say the fellowship, in addition to the meal, is what they really want.Unfortunately, the cutoff limit left off some folks who would like to have attended. The Alumni Association is considering options to handle ever increasing crowds for the future since graduating classes are much bigger than earlier years. The most senior members attending were Mildred Osborn Williams (OCHS- Watkinsville Class of 1936) and Myrtice Landrum Kilpatrick (OCHS- Watkinsville Class of 1938). The youngest attendee was Trey Harden, NOHS 2007. 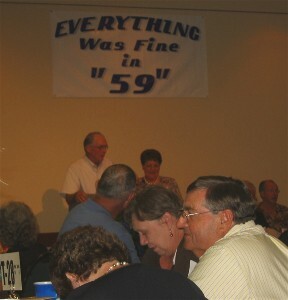 The Alumni Banquets were held decades ago.I served as President of the 1959 Alumni Party at the old Watkinsville Gym. Fellow 1958 Classmates helped decorate the gym. Sometime after that the association became inactive. 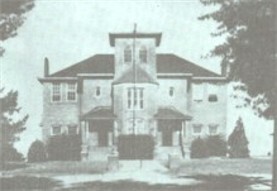 The 1939-40 Classes started meeting in the mid-eighties. 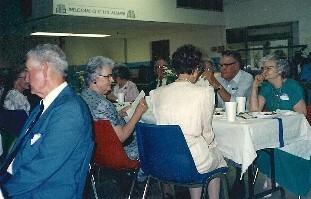 Betty and I attended the 1989 Alumni Banquet held at the Mars Hill OCHS ‘Cafetorium’. The event is hosted each year by the Class celebrating its 50th Anniversary and has grown immensely. As the 50th anniversary approached for the Watkinsville Class of 1956, some active participants, led by Larry E. Weatherford, (OCHS- Watkinsville Class of 1947), organized a more formal alumni association.In 2008, the association was incorporated as a Non-Profit Corporation for charitable, religious, educational, and scientific purposes under section 501(c) (3) of the Internal Revenue Code. Gifts to the association are Tax Deductible and will be used to support programs like the Teacher of the Year Banquet and other events. If you ever attended or taught at an Oconee County High School, you are eligible for membership.Dues are $0.00 a year. Many Bogart alumni and younger members registered in 2008 and have become active. 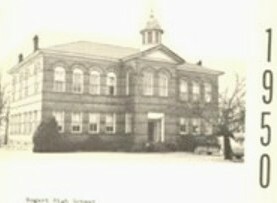 While the sentimental favorites of most ‘AARP Eligible members’ are the Old Watkinsville and Bogart High Schools, the largest group of members, by far, now comes from the consolidated OCHS on Mars Hill Road (1956-1991).